As the end of the year is approaching, we as a rap community have a lot to look back on. We have amazing releases such as Migos Culture, Meek Mill’s Wins & Losses, Lil Uzi Vert’s LUV is Rage 2, Kendrick’s DAMN, and Jay Z’s 4:44. And as society is evolving to be quicker in receiving and delivering content, those projects seem like forever ago, even though they were all released just this year. November has already started and that means only one more full month in the year 2017, but there are many albums/mixtapes to look forward to for the rest of the year. 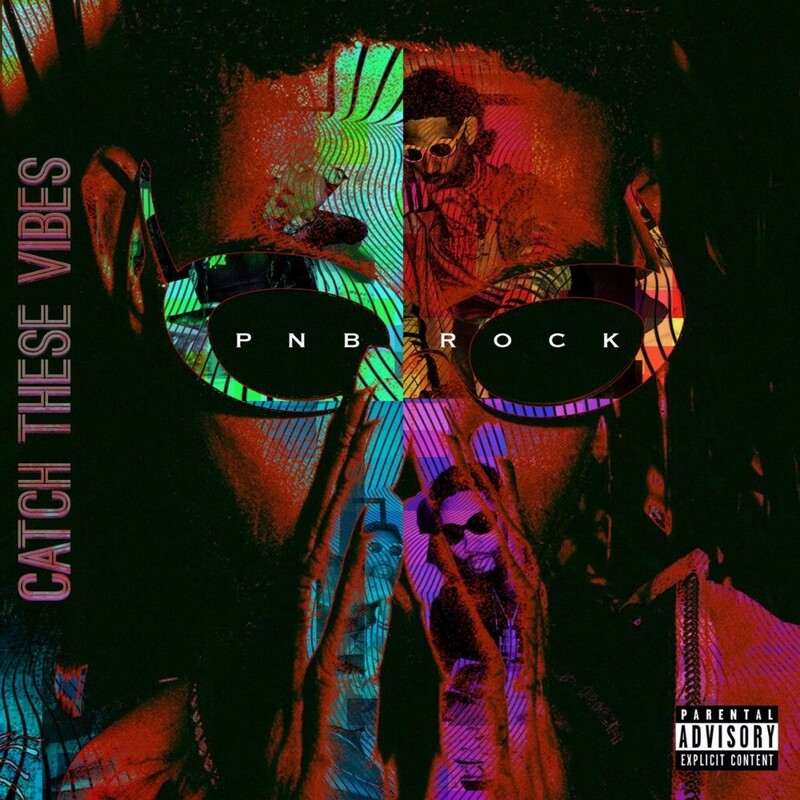 The Philly rapper has been on a roll ever since releasing his Studio Debut RNB 3 in 2015. His song, “Selfish” peaked on the Billboard 100 charts at #51, he was named an XXL freshman, and collaborated with artists such as Kevin Gates, Fetty Wap, and Meek Mill. There is no direction besides up for the young Philly artist. He released his album, “Goin Thru the Motions” on January 13, 2017 and it is one of my picks for most underrated album of the year. With artists like A Boogie Wit A Hoodie, Wiz Khalifa, Quavo, and Ty Dolls $ign appearing on the tape it produced a perfect mix of smooth R&B jams like “Notice Me” and “There She Go” to fire bangers like “Attention” and “Range Rover”. As he advances in his career, he keeps expanding his features and as long as he can show his versatility with singing and dropping bars he is definitely here to stay. Catch These Vibes dropping November 17th. What was a rumor for the longest time is finally coming. These two megastars have the whole world at their hands waiting on a piece of this album to drop. While Quavo has been making an impact all over the music industry from being featured on “Strip That Down” with Liam Payne (which became a No.1 song on the Billboard 100) to “I Get the Bag” with Gucci Mane (His first top 10 hit song on Billboard 100) his influence is very clear. Travis Scott, aka La Flame, isn’t lacking on his resume either. From going platinum with his hit single “Butterfly Effect” and his recently platinum album “Birds in the Trap Sing McKnight”. Going off my inferred knowledge on the two artists collaborating on songs like “Pick Up the Phone” off BIITSM and “Sloppy Toppy” off La Flame’s Days Before Rodeo mixtape, they know how to make good music together. Recently in an interview with Montreality Quavo said him and Travis have “about 20 songs” finished for the project and they just need to set the track listing. There are rumors swirling around that Offset will be featured on the project. 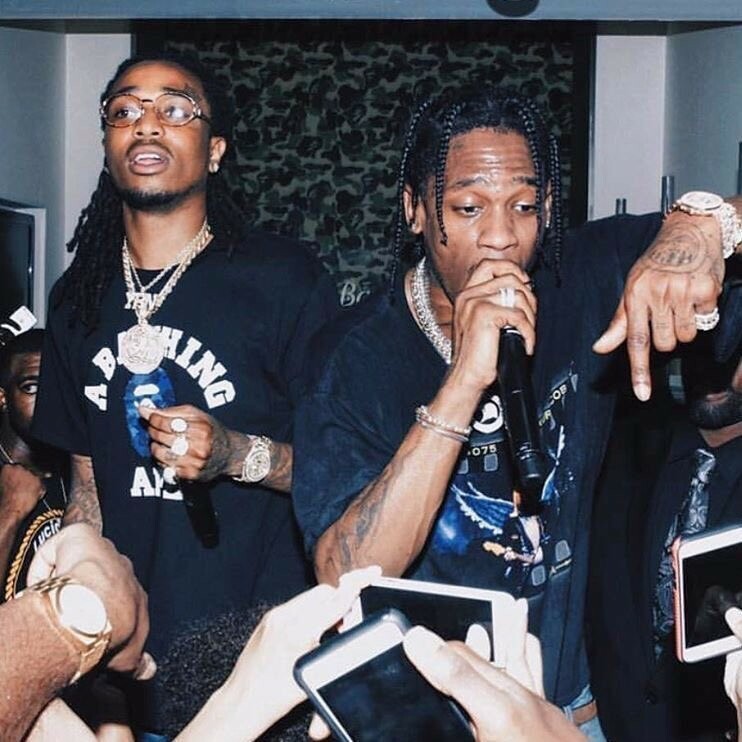 According to Genius, the album will be called, “Huncho Farm Cactus Jack Alarm”. My prediction is that it will drop either this upcoming Friday on November 10th or next Friday November, 17th. My only advice to the world, get ready for the extreme fire that is going to be dropped. Tory Lanez has been on a winning streak every since he dropped his first “New Toronto” mixtape back on Christmas of 2015. A great thing about the Brampton born rapper is that he had his come up without the help from the OvO sweatshop. He just kept putting out great music and working with the likes of Meek Mill, A$AP Ferg, and his close producer Play Picasso. While he has gained major attention for being one of the most recognizable artists to come out of Canada, he has been working relentlessly on his “Chixtape 4”, “New Toronto 2”, and “I told You” projects. He also had a routine of “Fargo Fridays” where he would drop a song on SoundCloud every Friday which let to his name being cemented in the rap game. As Tory keeps releasing new music his delivery and variation of styles on a track has improved to a point of him being one of my top 5 artists right now. He recently said on an Instagram post that he free-styled his whole debut album, “I Told You” which was some of his absolute best work as an artist. So far, Tory has released three singles from his upcoming album, “Memories Don’t Die” which have all been hits in my opinion. He released the first one, “Shooters” on September 22nd, then “Skrt Skrt” and “Real Thing” which was featuring Future. If the full album is going to sound like this, it could be in contention for top 5 albums of the year. Arguably the biggest group in the world right now is gearing up for another big album release. 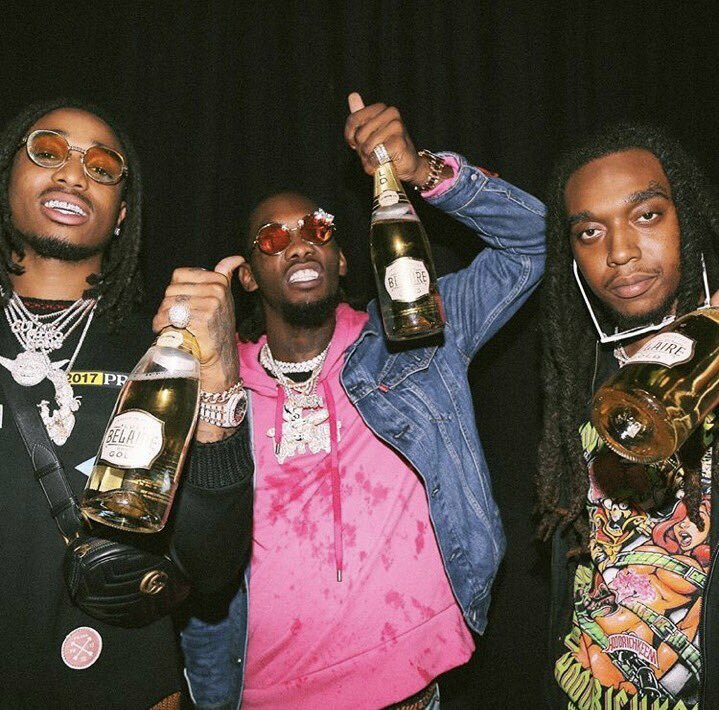 Their last album, CULTURE, went platinum and their song off the project, “Bad & Boujee” peaked at #1 on the Billboard 100. With their popularity at its highest it has ever been the group has not changed any of their ways. They are constantly in studio working on new music and destroying any beat that is handed to them. The constant snippets that are being previewed by each of the members on their Snapchats and Instagrams have fans begging for the album to drop. During a TMZ interview in July, Offset was quoted saying, “Culture II is coming in October”. However, October has now passed and the album has still not been released. Even though that fell through, fans were given hope from this recent Quavo tweet. Recently the group dropped the lead single for the album called, “MotorSport” featuring, newly engaged fiancè of Offset, Cardi B and Young Money rapper Nicki Minaj. The song has had major success and has just been listed at #14 on the Billboard charts after only one week. Other expected features on the project are Future, Drake, Big Sean, and Ty Dolla Sign. Hopefully, we will be hearing the album soon. The rest of world is finally tuned in to Dave East. The Harlem rapper has been putting out great music constantly and with his latest release ,”Paranoia: A True Story” he has shown why he is one of New York’s best. After multiple listens, Paranoia has definitely secured a spot in my top ten albums of the year. With songs like, “Wanna Be Me” & “Found a Way” East paints a vivid picture for the listener about his life and come up off the Harlem streets, by delivering with great flow and fire bars. He recently has posted on Instagram a picture of a new song cover with Migos member Offset called, “Checc” which is rumored to be on the project. Keep your eyes open for Paranoia 2.